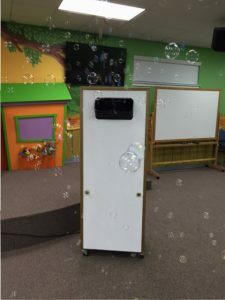 We have an industrial bubble machine that outputs 5,000 bubbles per minute. We use a non-toxic, safe bubble solution. This bubble maker can be used outside and even inside (on carpeted areas) or poolside.